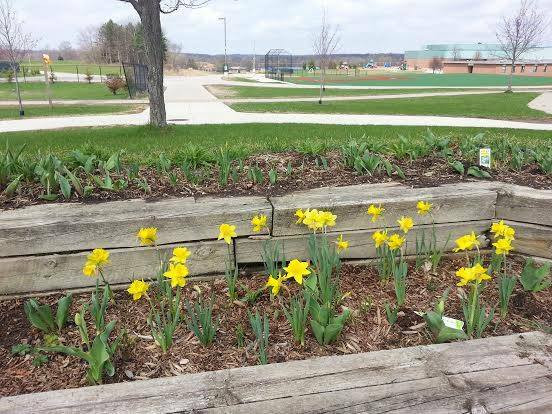 Have you seen the flowers and lovely landscaping at Cornerstone Elementary lately? 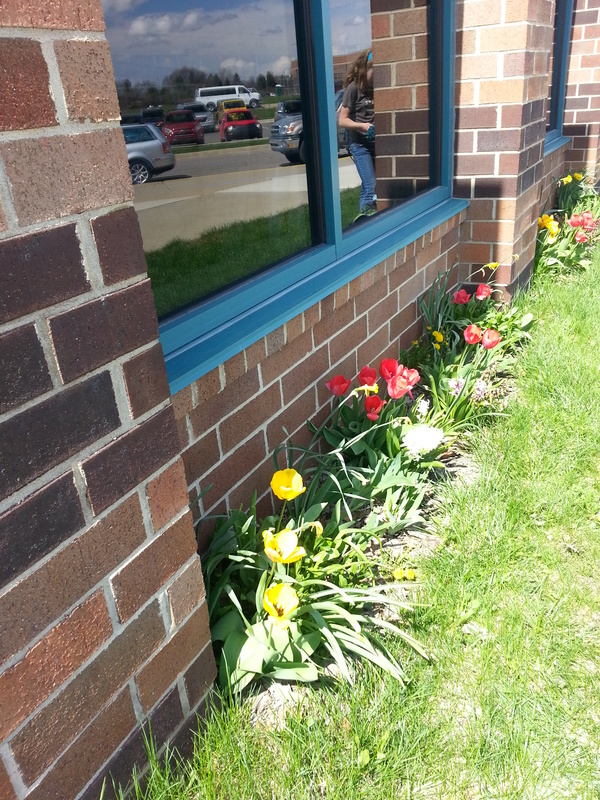 These border tulips are one of about 20 different spaces around Cornerstone that the Garden Club is responsible for. 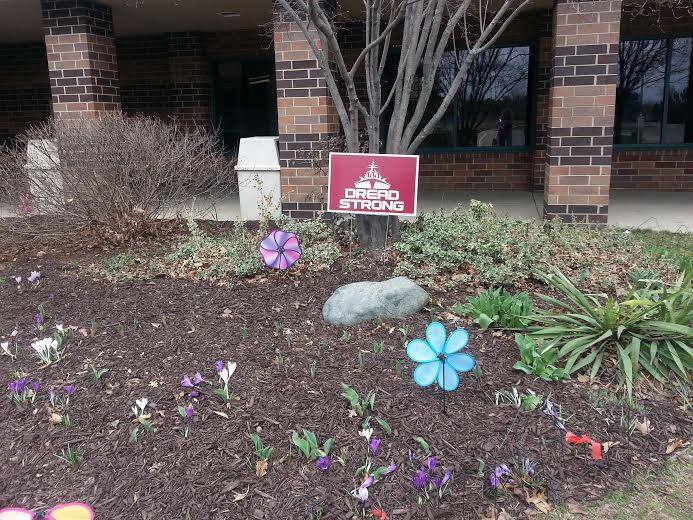 Spring flowers and shrubs are all around the school and the entrance landscaping beds are decorated with pinwheels and other fun ornaments. These special elements are the result of the dedicated parents and community members that make up the Cornerstone Elementary Garden Club. Learn more about the club on their Facebook page. Contact the club if you’d like to get involved in beautifying the outdoor spaces at Cornerstone. 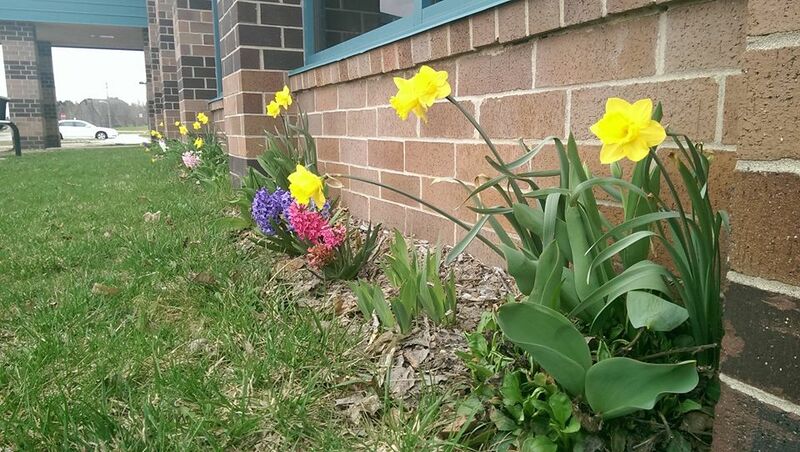 Signs of Spring at Cornerstone Elementary.